Identifying the underlying causes for potential cyber security attacks can prove to be of crucial importance for defending a company IT network no matter how secure it is considered to be. By creating a defense line that focuses on the basics first and foremost will help not only treat the symptoms of a cyber attack, but prevent it from ever happening. 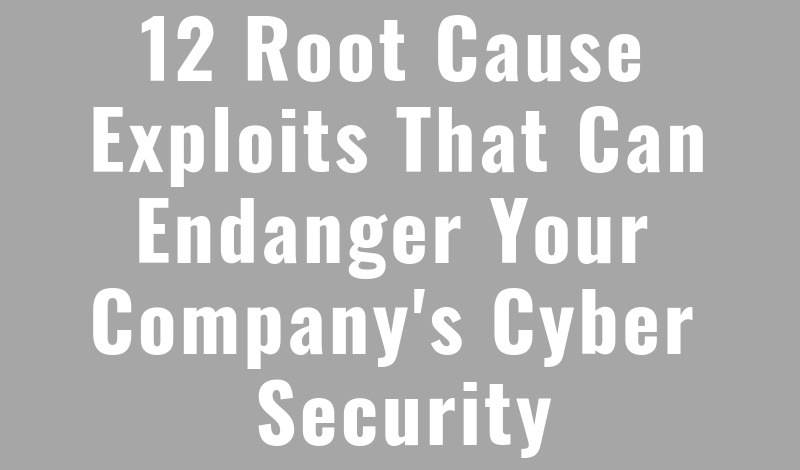 Take a look at the infographic to see the 12 resident guilty parties when it comes to root cause exploits that can destroy your company’s cyber security. Let Awontis keep you safe. Contact us today and sleep peacefully!